Dr. Curry is right. As she points out, climate science does not even understand what caused the major (natural!) warming of the world's temperature from 1910 to 1944. 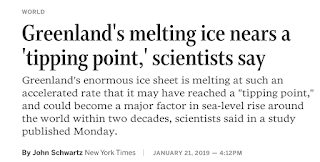 And, because we don't understand natural climate variations, we have no genuine scientific basis upon which to make climate forecasts, manmade or otherwise. This is why all of the catastrophic tipping points and forecasts listed in Tuesday's posting are wrong. Here is yet another 'tipping point' that was published about the same time as I posted my piece. 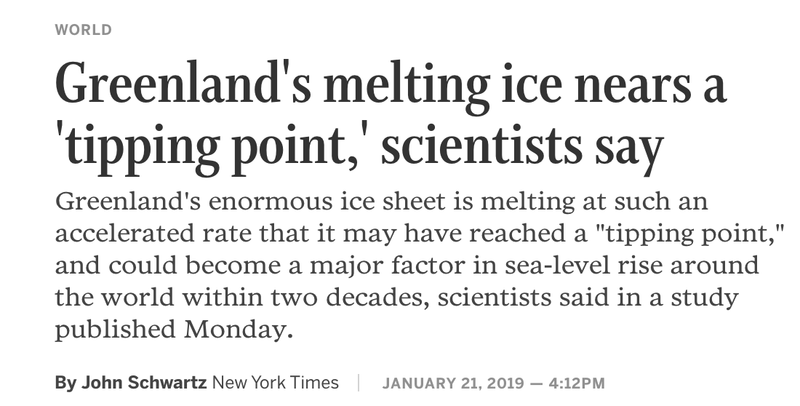 As I wrote in 2013, global warming is "tipsy from tipping points." It is, of course, your right to believe whatever you wish. But, if you believe these forecasts of imminent doom -- in spite of their abysmal track record -- you are believe in what has morphed into quasi-religion. Not a science.